C(7) started playing rugby today. She decided to start after going to watch J(5) play and realising that half her school go. 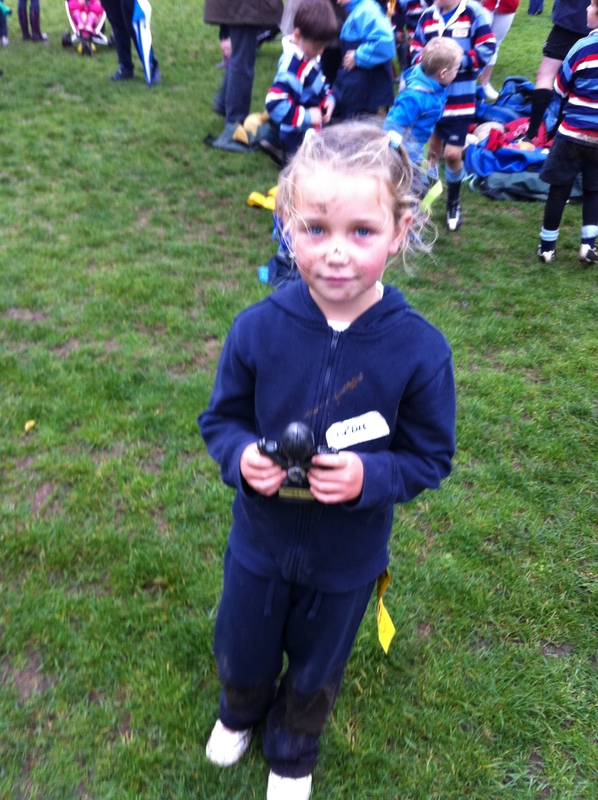 She has decided she is pretty good, and came home with the U7’s trophy. I’m so glad neither of my children mind the rain! and route other calls to different locations. Besides placing advertisers ads on your Blog, you can also make money Blogging by placing Google Adsense into your Blog.